Your skin is precious. Beneath it are clues as to what you can expect to see at some point in the future, whether in a few hours, a few days or longer. At Brenwood, we use a number of methods to asses your skin and in consultation with you determine your most pressing skin concerns. 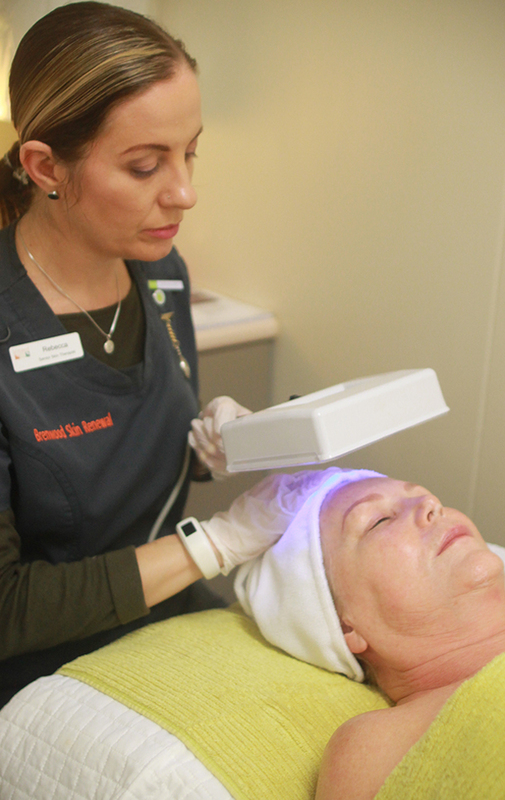 Your consultation starts with a state-of-the-art diagnostic skin scanner, Dermograph. This one-of-a-kind skin analyser examines 2mm under your skin’s surface into the dermal layer to provide you with a skin analysis like never before. 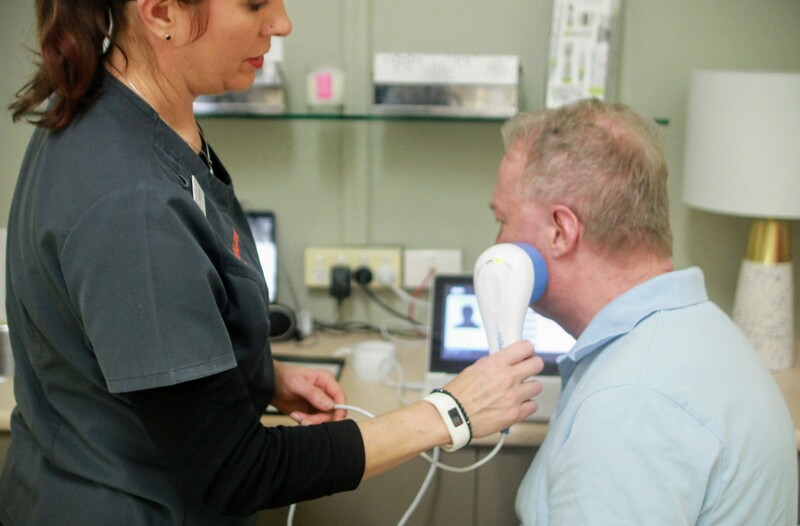 Analysing individual skin redness, dermal oiliness, hydration, texture, hyperpigmentation and collagen, The Dermograph™ allows us to not only measure your skin health’s but guide you to suitable skin care options and effective professional treatment plans. Your Complete Skin Consultation continues with a thorough examination using a Wood’s Lamp this helps us identify the extent of pigmented or depigmented patches and to detect fluorescence. Normal healthy skin is slightly blue but shows white spots where there is thickened skin, yellow where it is oily, and purple spots where it is dehydrated. Your Skin therapist then takes you through her suggested skincare solutions with an express facial which includes double cleanse, exfoliation, targeted serum, hydration, eye cream and sun protection. Your Skin Therapist provides you with a comprehensive skin prescription and treatment options. In preparation for this consultation, please bring (or make a list of) all the skin care products you are currently using; including medications, makeup and vitamins. You’ll find at Brenwood we don’t believe in “a one size fits all” approach to skin care. Your skin, like your fingerprint, is unique and as everyone has different skin no two skincare programs and treatments are the same. Your Complete Skin Consultation is the first step to fresher, more radiant and flawless skin. Our Skin Consultations take about 30mins and cost $75 (redeemable on purchase of 2 or more products or facial treatment on the day).